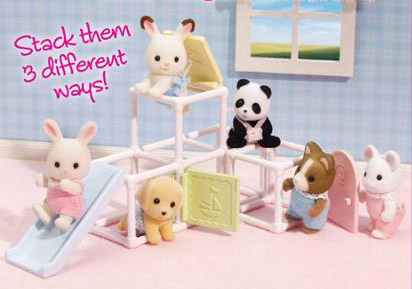 Stack theis fun playground set in different ways for more fun! Includes a slide, and little doors! Figures sold seperatly.